Staff and students should be aware of the importance of maintaining confidentiality in relation to the University’s IP Rights and confidential information more generally. Commercially sensitive documents should always be marked as confidential. Before the start of any collaboration with third parties who are not bound by the University’s IP policy from which IP may arise, or for which University IP may be used or disclosed, it is essential that the appropriate protection is put in place at the outset in relation to intellectual property and confidential information. As detailed below, the first step in this relationship is to consider the confidential nature of the information being disclosed by all parties and whether a Non-Disclosure Agreement or Confidentiality Agreement is needed. The University actively encourages its staff and students to take the initiative to identify innovations and creative output with potential exploitation value or which could otherwise help or enhance the reputation of the University. However, the potential benefits of protecting and exploiting the IP can be very easily and unintentionally lost. For example, the ability to obtain registered IP protection for inventions and designs can be lost by telling people about the idea too early (ie. prior to filing a patent or registered design application). For ‘know how’ it is the ability to control access to it that will determine whether it will be possible to generate net revenue and commercial value. assist in protecting the University’s rights to the IP by keeping suitable records of its creation (wherever necessary drawing on guidance from the Specialist IP advisors) and co-operating with any registration activity. Non-disclosure is the most effective way to protect confidential information, sensitive issues and novel ideas. 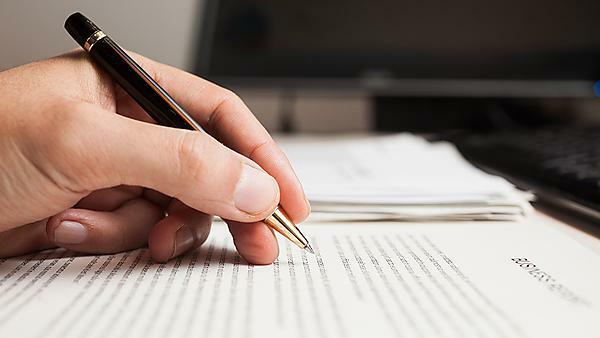 However, where some disclosure is necessary, the usage of Non-Disclosure Agreements or Confidentiality Agreements (NDAs) is now common place, and it is the University’s policy to use NDAs to regulate and control the disclosure of confidential information. This is essential to protect the University from risk and to mitigate any liabilities, it also forms the first link in the chain of evidence when considering any future collaborative and/or commercial activity with external parties or exploitation of intellectual property. The University’s Specialist IP Advisors maintain a range of precedent NDA material. These are generally prepared and negotiated through the Specialist IP Advisors (who also maintain a database and record of all NDAs for future reference) or if the NDA relates to a large transaction or sensitive issue, for which other contractual documentation is or may be required then you can seek further assistance from the Legal Services Department (internal access only) or Melissa Rose (University Legal Officer). For the avoidance of doubt, staff and students are not authorised to enter into or sign NDAs with third parties on behalf of the University. Please supply the following details when requesting an NDA via ipmatters@plymouth.ac.uk. F. The period of time (following the disclosure period) that it will be necessary for the party/parties to maintain the duty of confidentiality in relation to the confidential information – this may be as short as 5 years, but is more typically 10 years. G. Details of any registered IP and/or confidential material (papers etc) that will need referencing in the NDA (copies of material marked ‘commercial in confidence’ – is always useful).